Calcutta, the City of Joy, has never ceased to enchant people around the world. 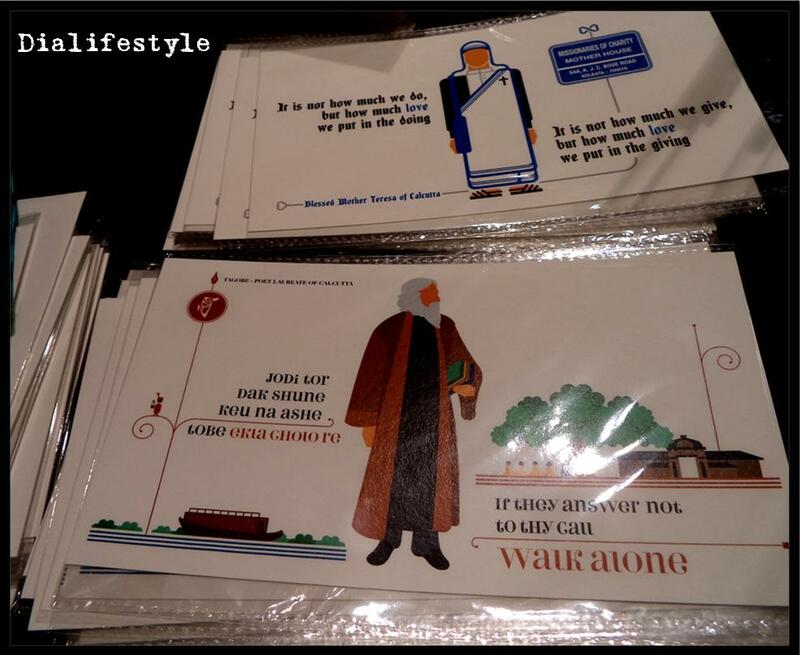 The tram rides, adda sessions at the Indian Coffee House, sizzlers at Peter Cat, walks around Victoria Memorial, traffic police clad in white manning the streets, roadside “cha”, “Uttam-Suchitra” movies, Tagore music and last but not the least, the Sourav Ganguly fever…each and element makes the city oh-so-charming. What’s better than quirking up these City of Joy moments and incorporating them in your daily life? This is exactly what the Calcutta Collection of East India Dezign Co. has been doing. 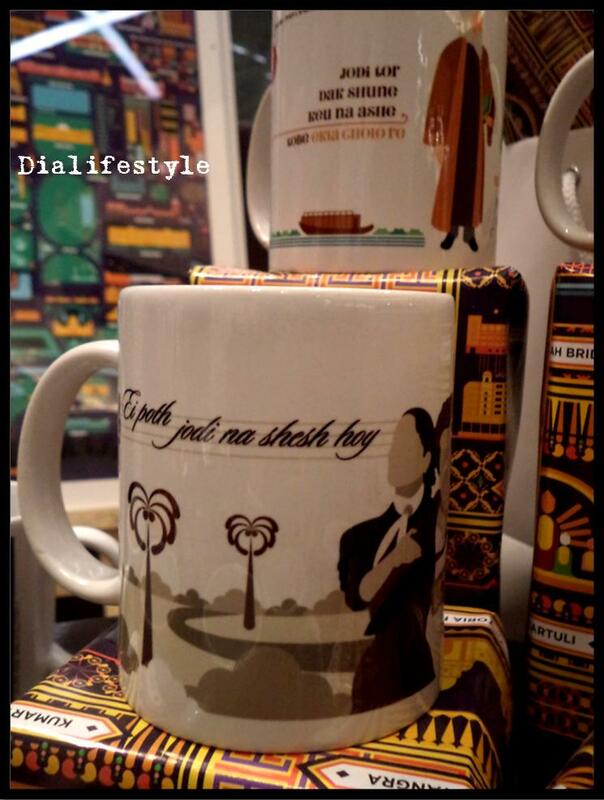 From the “Dhooti”, “Shaada Sari Laal Paar” and “Lungi” diaries to the “Ei Poth Jodi Na Shesh Hoy” coffee mugs, they have everything to make your Calcutta experience fun and stylish. 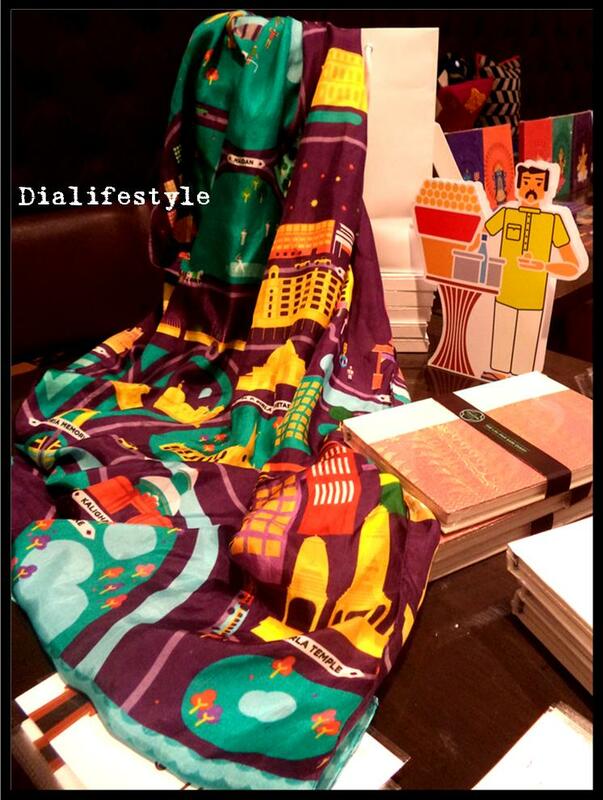 Recently launched at Smoke House Deli, their collection is a must-have if you wish to savor the taste of the City of Joy adding your own sense of Gen-Y style to it. I had an amazing time talking to their Creative Head, Hemal as she showed me around. 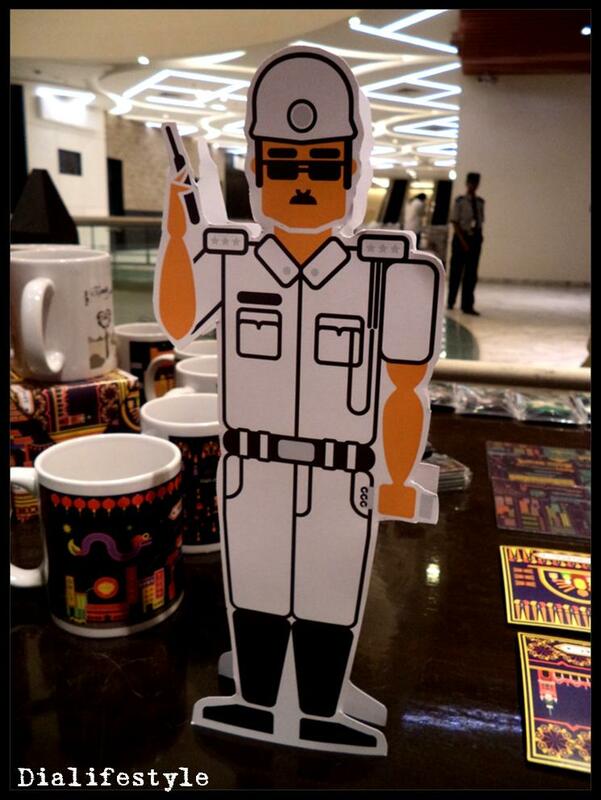 Check out some of their collection in the pictures below. The best part about the merchandise? It is super affordable! 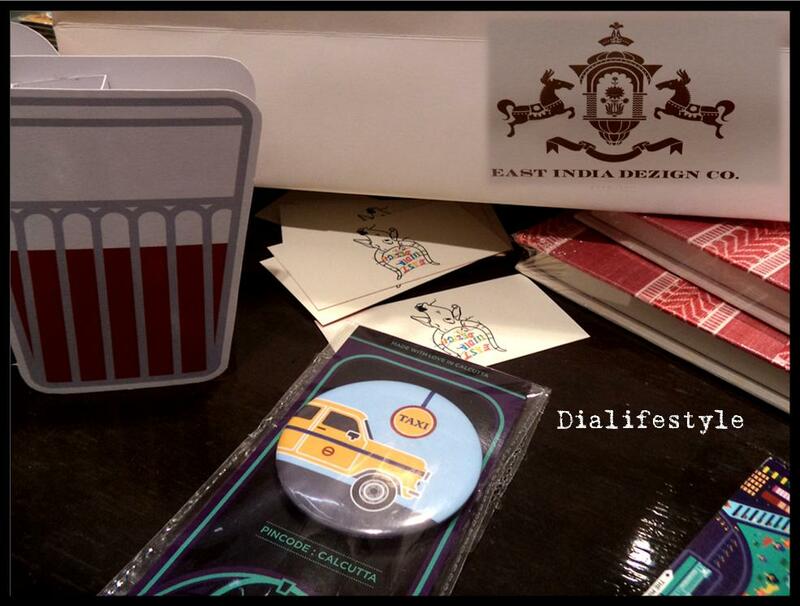 I bought the Kolkata Taxi Badge for just Rs100. They also have other designs in the same and I intend to buy them all. Do check out their Facebook page here and start making your own list. I have been super happy as I have recently been bombarded with loads of gifts from my Daddy’s recent trip to US. Post coming up very soon. Till then stay tuned and stay gorgeous!